Saab and Spyker to operate under parent company Spyker Cars N.V.
Spyker Cars N.V. and General Motors (GM) confirmed overnight that they have finalised the deal for Spyker to purchase Saab Automobile AB from GM. 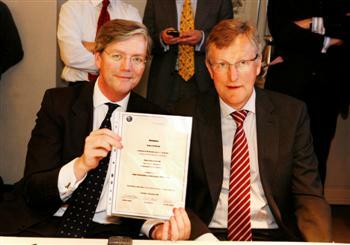 The transfer of ownership took place at 16:30 on 23rd February, 2010. Going forward Saab Automobile and Spyker Cars will operate as 'sister' companies under the umbrella of the Amsterdam Euronext listed parent company Spyker Cars N.V. (Ticker symbol:SPYKR). This transaction secures the future of Saab Automobile and signals the start of an exciting new era for the iconic Swedish brand. Victor Muller, CEO of Spyker Cars NV said: "We are delighted - Saab's future is now secure." He continued: "From today we will be concentrating all of our efforts into reviving Saab and transforming it into a sustainable and profitable company with the confidence to be bold. We will reinforce the emotional experience between Saab drivers and their cars and we will focus on Saab's historical strengths in the fields of independent thinking, aircraft heritage, ecological performance and motor sport." "Through this acquisition we add approximately 15 euros per share in equity and 60 euros of assets. With a well funded business plan in place we are looking forward to working with Saab's management on the realisation of that plan and bringing exciting new products to our customers. Real Saabs, Saab Saabs"
Jan Åke Jonsson, CEO of Saab Automobile AB said: "Today's announcement is great for Saab's customers, dealers, suppliers and employees around the globe, the level of passion and support shown to Saab over recent months has been remarkable and this does bode well for the future. Now we aim to get back to the execution of our business plan, starting with the introduction of the new 9-5 later this year, and with the continued support of our employees and business partners I am confident we will succeed." "Throughout negotiations over the past year, GM has worked with many parties, including governments and investors, to find a solution for Saab," said Nick Reilly, president, GM Europe. "I’m very pleased that we could come to a positive conclusion, one that presents a viable future for Saab and preserves jobs in Sweden and elsewhere." Saab entered the automotive business in 1949 with the "92". Its aerodynamic shape and advanced technology drew from the company’s roots as an aircraft maker, and helped provide what was to become a loyal and passionate customer base. General Motors (GM) acquired a 50 per cent stake in Saab in 1990, and acquired the balance of Saab in 2000. 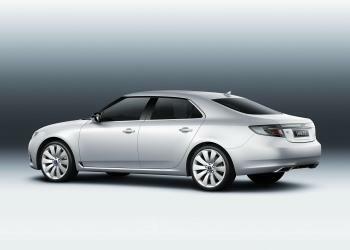 GM began seeking a buyer for Saab in January 2009, a concerted effort that led to the overnight announcement confirming the sale of Saab to Spyker.